According to a study by Johns Hopkins patient safety experts in 2016, medical errors has become the third leading cause of death in the US. Over 250,000 deaths (almost 10% of all deaths) per year are a result of medical errors. With an inadequate system for coding medical errors as the cause of death, they are still under recognized and could account for even higher numbers. In stark contrast in 2006, a study by the Institute of Medicine (IOM) found that 1.5 million Americans were affected by medical errors, but they lead to 7000 deaths. Medical errors include medication errors which account for nearly 20% of the errors. An estimated 5% of hospitalized patients will experience a medication adverse event involving an error of commission or omission. It is further estimated that half of these errors are preventable; others could have been mitigated. Nurses who spend the most time with patients make medication errors most often, and many times they are not reported. Sometimes the errors are unknown and cause no significant events. Other times they are a result of the transition of care process and inadequate patient education. Another issue is fear of consequences for reporting. Almost one-third of adults in the US takes 5 or more medications. Seniors are at higher risk for many medication issues due to polypharmacy. When hospitalized or otherwise placed in the care of nurses such as in skilled home health care or hospice, medication reconciliation, patient education, and oversight as well as safe medication administration is a huge part of the nurse’s responsibility for that patient. With thousands of possible medications and combinations, the nurse has a daunting task of staying up to date on all of these medications. Nurses are the backbone of the health care system and as such are responsible for patient safety and well-being. In patient-centered care, the responsibility for improved outcomes is ultimately the patient’s responsibility. However, patients have to have the right information and education to carry out this responsibility, and that primarily falls back to the nurse to provide. A primary rule in nursing is to never administer a medication if you don’t know what it is, what it’s purpose is, what the effects are and what to look for in terms of side effects. The Five Rights of Medication are to be followed at all times. In fact, there have been several additions to this list over recent years to help improve medication safety. Others that have been suggested as additional Rights include: the right approach, the right documentation, the right evaluation for drug-to-drug interaction, the right education and information, the right to refuse, the right to a second opinion, and the right to a history and assessment of current medications. It has also been suggested by nurses that the right to autonomy could be used to combine several of these rights together. The same rules and considerations apply to all aspects of nursing care. Do NO Harm! Procedures can be as damaging and even more so than medications if improperly done or omitted. Never attempt something you have never done before without supervision. There is no shame in saying you don’t know how. The shame is in trying to do something without proper education and assistance. In order for nurses to excel at their role and provide safe patient care and education, nurses must be able to stay up to date on medications and treatments. It’s impossible to consider that nurses could learn and recall close to half of the possible medications and treatments even on very specialized units or practice areas. New medications and treatments become available all the time. Access 24/7 to Apps, to the Internet, and other resources is essential. Continuing education courses for nurses is highly recommended as a routine part of the nurse’s lifelong learning process whether required for re-licensure or not. Studies have shown that nurses are at high risk for pharmacology knowledge and drug management. 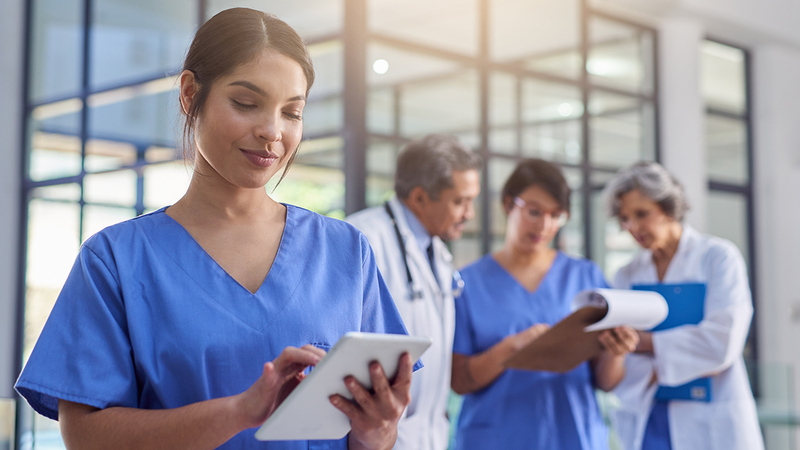 With ceus in these areas, nurses can improve their knowledge base and help reduce the number of medication errors and their contribution to mortality rates from medical errors. Nurses will see the e­vidence first hand that improved knowledge of medications can improve patient outcomes and prevent medical errors. One prime area of concern is in the transition of care time frame. Discharging home from the hospital can be frustrating, distracting, and anxiety producing for both the nurse and the patient. Nurses are known to have to carry unsafe patient care loads, and this has been proven to contribute to medical errors and less than ideal patient outcomes. Planning for discharge has to begin at admission in any venue from hospital, SNF, home health or even hospice. Doing so helps to improve the process and reduce the time it takes to safely discharge the patient home. It also affords your case management department the opportunity to assist with a plan for appropriate continuum of care. Proper discharge processes will also help to prevent re-hospitalizations. It is estimated that 20% of patients will have an adverse event within 5 weeks of discharge and 2/3 of those events will be related to medication errors. Far too often this may lead to complications and re-hospitalization. Some will lead to death. This often stems back to discharge instructions and patient education and may often involve “resume previous medications” orders from a hospitalist unfamiliar with all of the medications a patient was taking at home before this encounter. The suggested medication right to have a history and evaluation as well as drug-to-drug interactions makes a lot of sense. Planning for discharge from the beginning and utilizing each and every encounter with patients to do patient teaching is essential and has to become part of the routine process of patient care. When administering medications, know what they are and educate the patient about some aspect with each administration. When performing a procedure, especially one the patient will need to continue after discharge, utilize every opportunity to educate him and his family in the correct process as well as signs and symptoms to report to the MD. It's far easier and more efficient to just do it all yourself but educating the patient along the way is a huge part of patient centered care. When patients feel like they’re part of the process, understand what you’re doing and why as well as what to expect their anxiety levels are lowered and they are less likely to be as needy and difficult. They are prepared to assume responsibility for their care and outcomes. In the long run, the difference you make for your patients will improve your life and experiences as well. Nurses need to be sponges and soak up knowledge at every opportunity. Taking frequent short nursing continuing education courses helps to build a solid foundation and interject new technology and findings to stay up to date on all things needed to provide safe, quality care for your patients. It will also help reduce your anxiety levels and lower your job-related stress. In turn, this will increase your chances of preventing or mitigating medical errors.